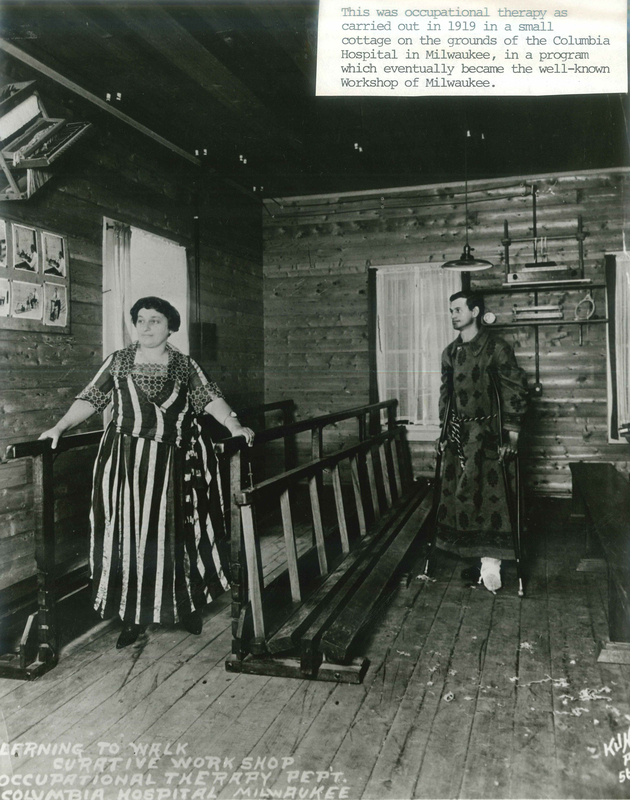 In 1919, occupational therapy was performed in this curative workshop in Columbia Hospital in Milkwaukee. The Columbia Hospital in Milwaukee had a small cottage on its grounds that was used for occupational therapy. Here clients are learning to walk.